Welcome to the Governors page of the school's website. School Governors are one of the country’s largest group of volunteers with over 300,000 people contributing to the development and improvement of schools. The Board of Governors represent a cross section of stakeholders and includes members of staff, parents, the local authority and local community. At Stoke Damerel Primary Academy the Board of Governors meets approximately 6 times each year helping to set the school's overall aims and ensuring that key areas such as the curriculum, standards of attainment and progress, finance, personnel and the building and site are regularly monitored to ensure value for money and the best possible outcomes for the whole school community. As well as regular meetings, Governors visit the school and communicate with pupils, staff and parents to help them in their role of monitoring and evaluating what is happening in school and then supporting the school in developing future goals. Governance at Stoke Damerel Primary has been working with an interim board since the start of the Autumn term 2018. Our previous Chair Peter Storey and Deputy Chair Kate Roberts both have high personal and business commitments and have reluctantly resigned. We are very grateful for the support and dedication that Peter and Kate have given to the school. In order to ensure that we have an effective governing board, Reach South have appointed Nick Buckland OBE, Polly Lovell, Mark Elms (Director of Primary Education), Samantha Smith (Headteacher Designate); and Lisa Meek (Executive Headteacher) to the board on an interim basis and Nick has agreed to Chair the board. Both Nick and the rest of the Board have extensive educational and governance experience and are looking forward to working with the school, parents, staff and pupils to continue the good work already underway. Declaration of interests: Chair of UTC Plymouth, PWP, PCH, Soil Association Certification, CSW Group, Theatre Royal Plymouth, EDT, KARST, Riverford |Organic and St Petroc’s School. Trustee of PML, TWSW and MIST. Governor for Shebbear College. Co-owner & Director of PACentral. 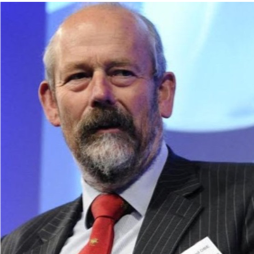 Eur Ing Nick Buckland OBE has extensive experience of governance across a wide range of organisations in the public, private and voluntary sectors. He was the Chair of Governors and Pro Chancellor of the University of Plymouth and currently Chairs UTC Plymouth, a specialist STE(A)M school in the city. He previously sat on the board of the Regional Learning and Skills Council and other school and college boards. He is a Mathematician by education and spent a number of years in the IT sector before embarking on a portfolio career. He is excited to be able to work with Stoke Damerel Primary on its journey of continuing success. Declaration of interests: Director of ARC Consultant (UK) Ltd and member of Interim Executive Board for Goosewell Primary School. Mark Elms has 30 years of headship experience in London Schools. He led the first federation of England Primary Schools when he linked Tidemill and Gordonbrock schools in Lewisham. He has extensive experience of leading a number of subsequent federations, in the capital and the south and east of England. He has supported schools across the country as a National Leader of Education and is an expert in implementing highly effective school improvement systems. Mark coaches new and experienced head teachers including colleague National Leaders of Education. Mark took a lead role in the team that developed the London Challenge Primary Programme with 4 colleague headteachers and an ex-HMI/DfE Adviser, making an impressive contribution to schools across the capital. London Challenge was subsequently rolled out across the country as a highly effective school improvement programme. Mark has worked with both Local Authorities and Academy Trusts to develop highly effective school improvement programmes for schools in challenging circumstances. He also designs and runs school improvement programmes to support good and outstanding schools. He designs bespoke professional development programmes for new and existing headteachers, leadership teams and governors. Mark led Tidemill School in London from special measures to outstanding. Tidemill became one of the early converter academies under Mark’s leadership. Tidemill is a National Support School and was one of the first National Teaching Schools. Mark has advised London University Institute of Education and Teach First with Tidemill leading the pilot Primary Programme. He set up the first Graduate Teacher Programme with the Institute of Education. Mark worked closely with the National College of School Leaders and has supported the Prime Ministers Delivery Unit. Mark was a founding member and director of REAch2 Academy Trust. REAch2 has grown to become one of the biggest and most successful academy trusts focusing exclusively on primary schools. Mark has provided outstanding professional support to a number of organisations and Academy Trusts across the country among them, The Harris Federation in London, The Aspire Trust in Cornwalland VNET in Norfolk.Mark has opened 2 new schools and has extensive experience in major design and build programmes. Tidemill was designed and developed as a £24m Landmark Project for the regeneration of Deptford. Tidemill continues to make an outstanding contribution to the quality of life for children and families in a deprived area of south London. Polly Lovell is Principal at UTC Plymouth, a local 13 - 19 engineering college. She also leads on STEAM and vocational education for Reach South Trust. 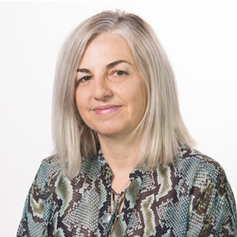 Polly is an experienced governor having been a parent governor at her children’s secondary school, a staff governor at Lampton School, Hounslow and recently deputy chair at Stoke Damerel Community College. Polly also brings experience to the board as a trained SENDCo, Designated Safeguarding lead and STORM Mental health lead. Polly has led the UTC PLYMOUTH through a journey of improvement as is well versed in school restructures and developing data led instruction. Samantha is delighted to be joining Stoke Damerel Primary School as Headteacher in April 2019. 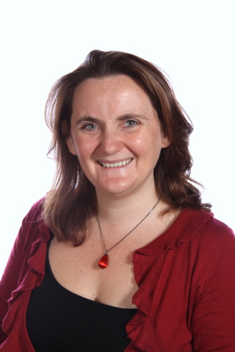 She has been in the Education profession for 23 years, and has experience both in the UK and internationally. Her first experience of working in primary education was as a consultant for an NGO in Calcutta, India. From this point, she made a decision to develop her knowledge, skills and understanding of education so that she would be able to effectively support the provision of high-quality education for all. As Headteacher of an inner London primary school for the past 10 years, Samantha's clear vision for ensuring the best possible education for every child, along with strong leadership and management skills, has delivered improved outcomes for all children regardless of their starting points. She is now looking forward to joining the team at Stoke Damerel to help lead the school forward towards becoming the very best school it can be.